Nagarro’s augmented reality (AR) solution for industrial workers provides easy hands-free navigation and step-by-step work instructions on Smart Glass. Hanover, Germany, April 1, 2019: Nagarro, a global provider of high-end technology services for breakthrough performance and digital innovation, today announced that it has partnered with Nokia for "Factory in a Box 2.0." The solution would be showcased at Hannover Messe from April 1 – April 5, 2019. About "Factory in a Box 2.0"
Nokia conceptualized 'Factory in a Box 1.0’ in 2017 and showcased it on Hannover Messe 2018. The idea is to support Industry 4.0 / Supply Chain 4.0 agile, modular and flexible production wherever needed. With "Factory in a Box 2.0," Nokia takes forward the concept with the adoption of new technologies such as 3D advanced manufacturing, robotics and augmented reality. The underlying communication infrastructure leverages Nokia’s 5G network capabilities. Nagarro’s AR solution will enable workers inside "Factory in a Box 2.0" to produce defect-free parts and seamlessly use advanced manufacturing machines. This AR solution for the next generation of connected workers provides capabilities such as: step-by-step instructions, hands-free navigation, remote connect with experts and the ability to take notes. The augmented reality application – which has been built using Skylight, Upskill’s multi-experience AR software platform - allows the worker to learn and adapt to customized production on highly sophisticated machines in a very short span of time. 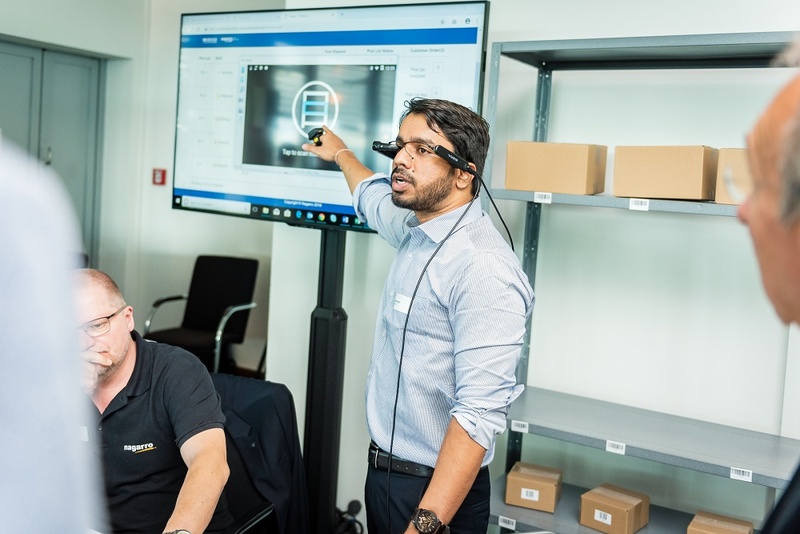 At Hannover Messe, the solution would be demonstrated on three smart glasses – Glass Enterprise Edition, Realwear HMT-1 and Vuzix M300. Nokia is a global leader in creating the technologies at the heart of our connected world. Powered by the research and innovation of Nokia Bell Labs, Nokia serves communications service providers, governments, large enterprises and consumers, with the industry's most complete, end-to-end portfolio of products, services and licensing. We adhere to the highest ethical business standards as we create technology with social purpose, quality and integrity. Nokia is enabling the infrastructure for 5G and the Internet of Things to transform the human experience.